Down the road when your car requires routine maintenance or repairs, we’ll be happy to help you at any of our local automotive service centers. As a member of the Ferguson family, you’ll have your choice of visiting our GM, Subaru or Kia stores. No matter which you choose, you’ll receive the same quality care you’d expect from Ferguson. 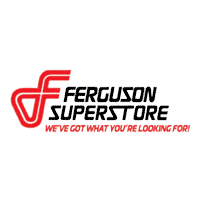 Here at Ferguson Superstore, we pride ourselves on our ability to help drivers from all different types of backgrounds find the perfect vehicle to fit their lifestyle and budget. From used Kia cars to pre-owned GMC trucks and luxurious used Buick SUVs, there’s something for you waiting on our lot.